China has a variety of environmental issues such as air pollution, which can be tied, in part to automobiles and Chinese driving habits. Autonomous cars represent a perfect solution to traffic jams, air pollution and road safety issues, according Jennifer Li Xinzhe, the chief financial officer of Baidu. She stated that Baidu has a goal to get self-driving cars onto the roads of China by 2018 and then begin mass production of self-driving cars by 2020. Baidu has been involved in AI research & development for the last 5 years and plans to create an AI engine that can transform traditional industries such as transport and financial services. While exciting goals, Baidu’s investor community seems less excited since the results and commercial prospects for projects developed using the Baidu “AI engine” seem unclear. Baidu, however, believes that the “AI Engine” is a crucial step in transformation for both human society and various industries. Baidu Venture will be independent from Baidu’s existing investment projects, allowing the board to make faster decisions without complicated internal approval processes. As a result, according to Li, Baidu is already two to three years ahead of other Chinese companies in AI development. On September 1st, at Baidu’s annual world conference, they announced their partnership with US semiconductor technology company – Nvidia – to develop autonomous driving systems that connect Baidu’s mapping data, image recognition technology and high-performance AI computing platforms with Nvidia’s technology, including cloud-based 3D maps and the ability to accesses different road conditions. As China’s roads are quite complex, this partnership gives both Baidu and Nvidia long-term strategic advantages in global car markets if their China systems are successful. In addition to its new venture capital fund, Baidu has invested US $150 million with Ford Motor Co in Velodyne LiDAR, based in Silicon Valley, which produces sensors for autonomous cars. 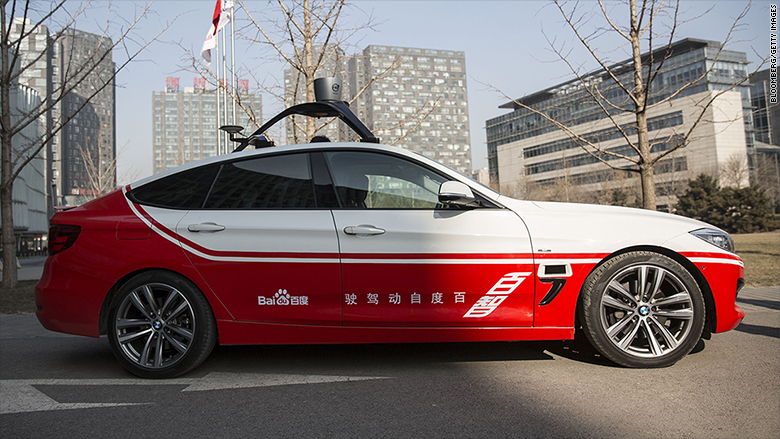 This investment by Baidu will help Velodyne expand the design and production of solid-state sensor technology that can be used in three-dimensional mobile mapping, 3D aerial mapping and security. Although Baidu is betting big in AI and self-driving automobile technology and they are currently ahead of their competitors, analysts and investors are afraid that Baidu’s technology will not be robust enough in global markets and that the company will have major competitors in the years to come. To prove this point, they are more than 30 companies developing AI and driver assistance systemsfor self-driving cars such as Apple, General Motors, Microsoft, Uber and Nutonomy. Nutomony launched their first trials in Singapore in September and Uber also announced their trials would begin in the near future. Will Baidu’s huge ambition make a breakthrough in China mainland and then the world? Baidu has been successful in the mainland Chinese market because the government protected it from Google and other search companies such as Yahoo in the early 2000’s. The government may choose to do this again, and favor Baidu in the domestic market, but it has to develop an AI Engine / Platform that is among the world’s very best if it is to be successful in international markets.